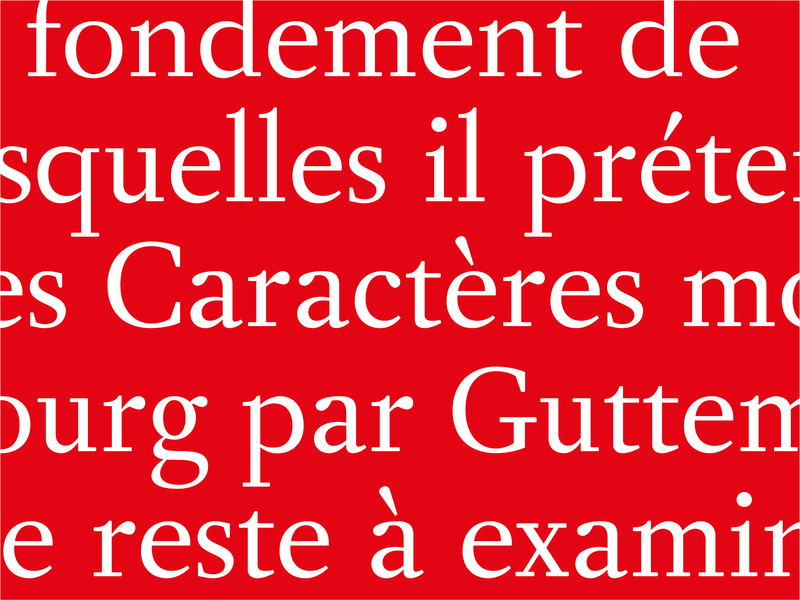 “Manuel” is a revival of a typeface cut by Fournier from the middle of the eighteenth century. Known as Fournier le Jeune, Pierre-Simon Fournier (1712-1768) was a Parisian punchcutter who published several influential books about the practice of his craft. 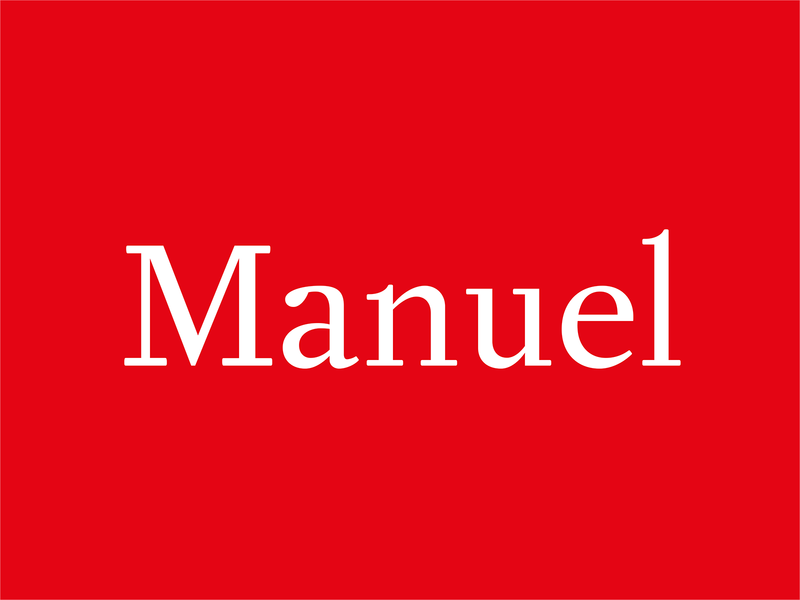 The “Manuel typographique”, from 1764 is the most well-known of all his publications and gives its name to my design. Although Fournier’s roman character first appears in “Modèle des caractères de l’imprimerie et des autres choses nécessaires au dit art, nouvellement gravés…” published in 1742, the source material used for this project is a spread from “Observations sur un ouvrage intitulé Vindiciæ typographicæ [par Johann Daniel Schoepflin] pour servir de suite au traité De l’origine & des productions de l’imprimerie primitive en taille de bois…” from 1760. 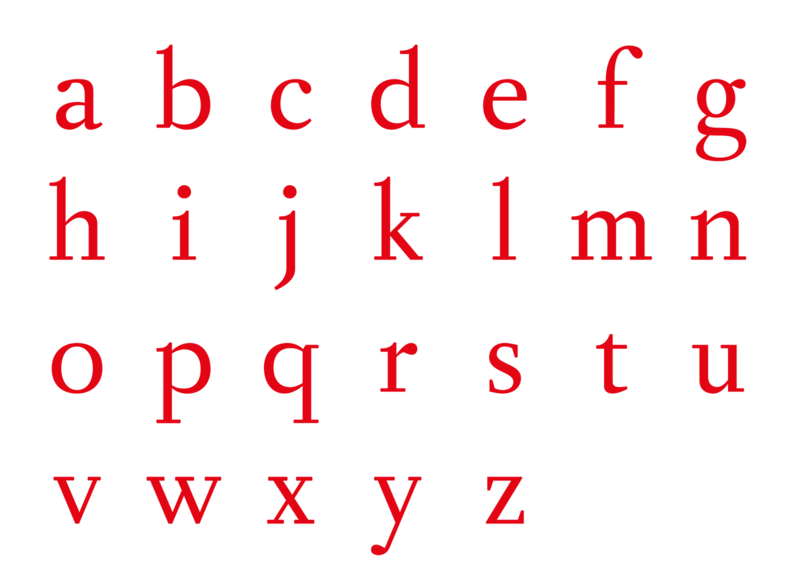 The type is of body size and shows both innovative and classical qualities at the same time. While the repartition of the weight generally follows the humanistic style, the stress of most characters is vertical and the contrast between the thick and thin strokes is quite higher than what was usually done at the time. This design was instrumental to the latter development of the “modern” style by Bodoni and Didot most notably. Due to the limitations of letterpress printing, every character in my sample shows some variation in its shape and details. As a result, there was quite some room for interpretation when digitizing the letterforms. My focus was on trying to capture the essence of the original drawing while making a coherent design that would work well at smaller text sizes. 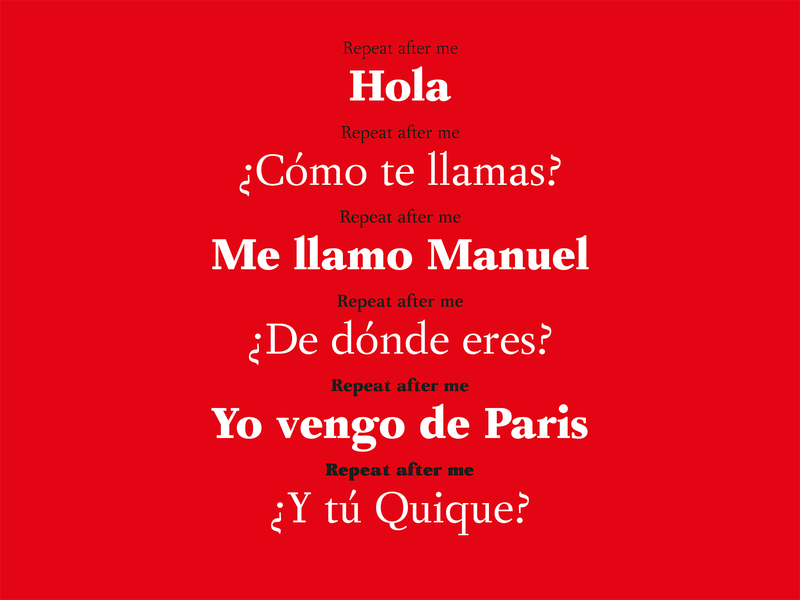 Furthermore, one question that arises when reviving a typeface from past centuries, is to determine how close to the original dimensions to stay. 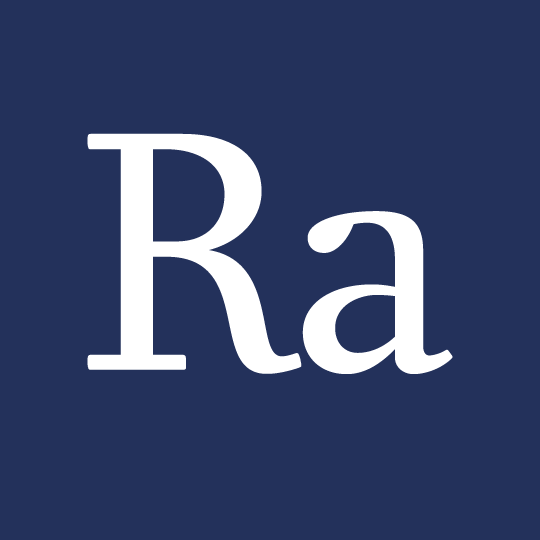 Specifically, the usual proportions of the ascenders, descenders and capital letters in relation to the x-height have changed considerably since the eighteenth century. For my design, I decided on keeping almost the original height of the ascenders and descenders, which, I think, give the type some elegance and generosity in its proportions. The weight of the capital letters on the other hand was reduced in order to give the typeface a more contemporary feel. Another aspect that contributes to the general feel of the design is the shape of the terminals. 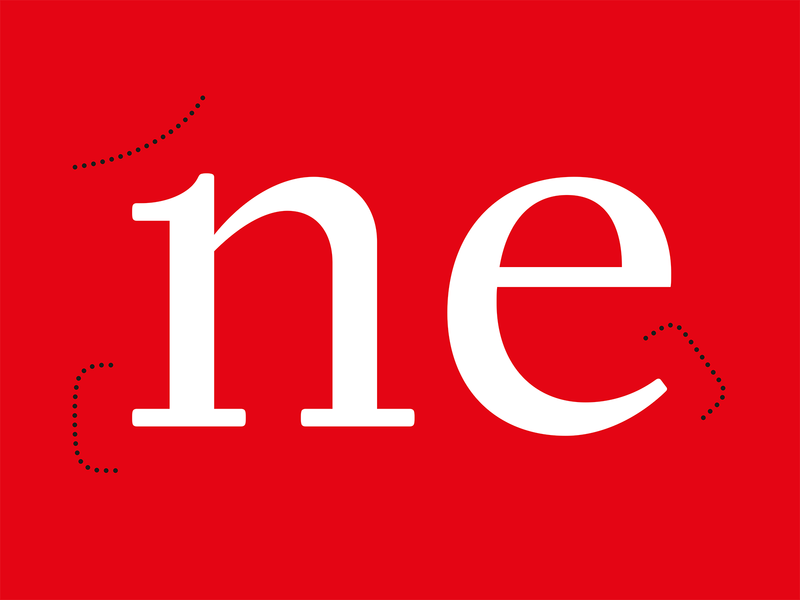 The serifs are straight and horizontal and while they are quite thin, they give a good seating to the characters on the baseline. More generally the terminals are slightly rounded at their endings to give them some sturdiness. Other parts of the characters, such as the junction of the stems and the bowls, retain sharp angles to retain some crispness and precision to the letterforms. Finally, I sketched a black weight of the roman that allowed for the interpolation (and even extrapolation) of intermediary weights. That process, which led to some nice results very quickly, felt particularly exciting and rewarding!